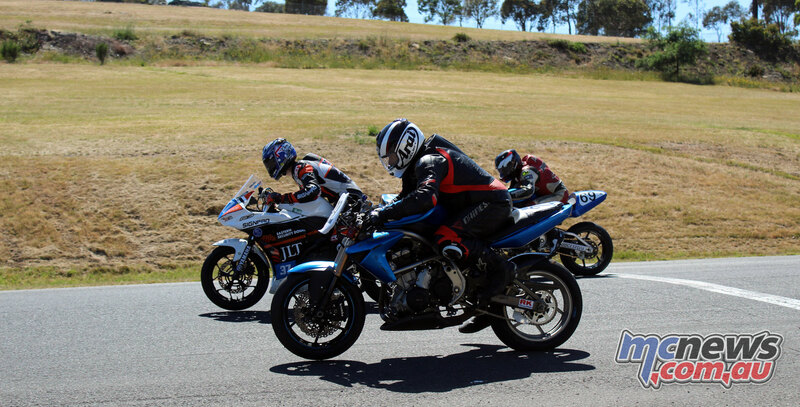 The Preston MCC hosted the final round of the Victorian States Titles, the Pirelli Motul Victorian Road Racing Championship over the weekend of the 10th & 11th of November, with warm sunny conditions both days ensuring great racing to determine the winners for all the Victorian State Titles. Sunday was humid with some thick cloud keeping the moisture in the air and temps in the mid to high 20’s, then Sunday became very sunny with track temps climbing rapidly after the lunch break, challenging the ability of the tyres to maintain grip for the entire race. 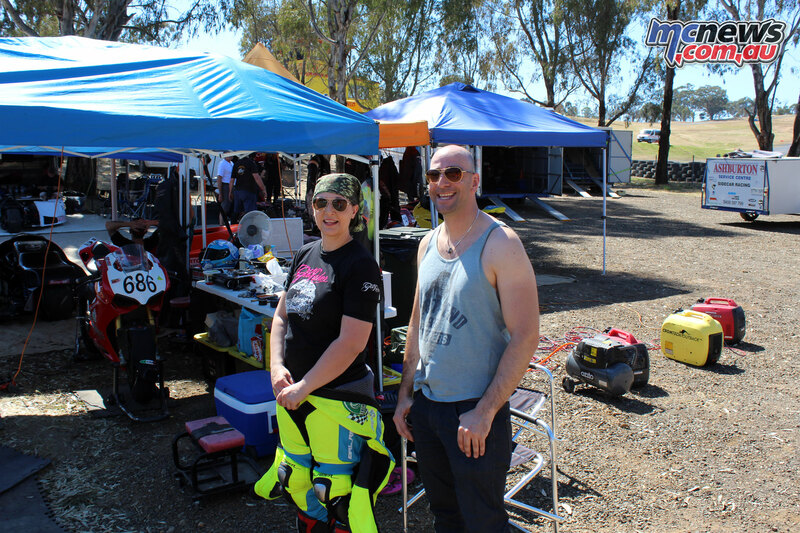 The usual hard working crew from Preston Motorcycle club, Race Marshals Victoria, John Painter as Clerk of the Course and Mark Bracks, who did double duties as promoter of the GP Juniors series and race commentator, as always did a fantastic job. Ensuring the meeting ran efficiently and provide entertainment for those spectators who took advantage of the magical weather to come and watch all the action. 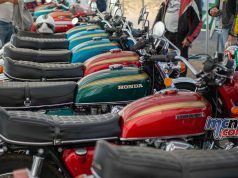 It was also made official recently, that the Preston Motorcycle Club will be hosting next years Shannons Nationals for classic machinery. 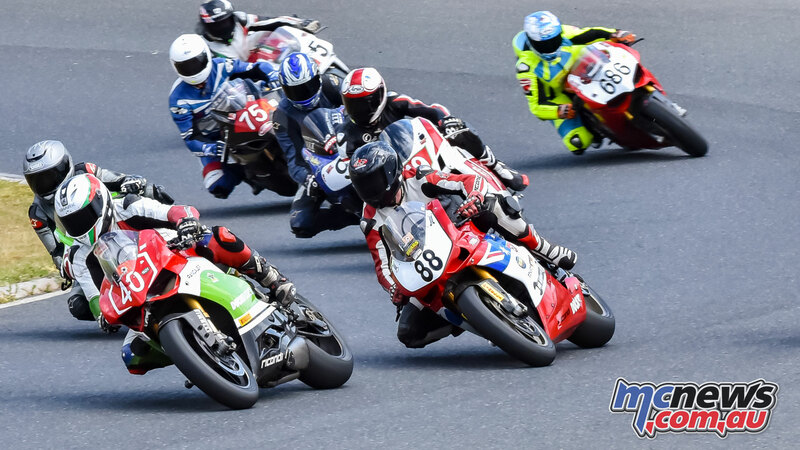 While being a small club, Preston MCC have been punching above their weight in recent years and are an integral part of the Interclub Road Racing series, the Bracket Racing series, the Pirelli Victorian Road Racing Championship as well as running ride days throughout the year. This means they are well versed in the running of race meetings from the smaller meetings through to larger state title meetings. We wish them well in the organising of the Classic Nationals for 2018 and are sure the event will be remembered by riders and spectators for all the right reasons given their knowledge and experience. 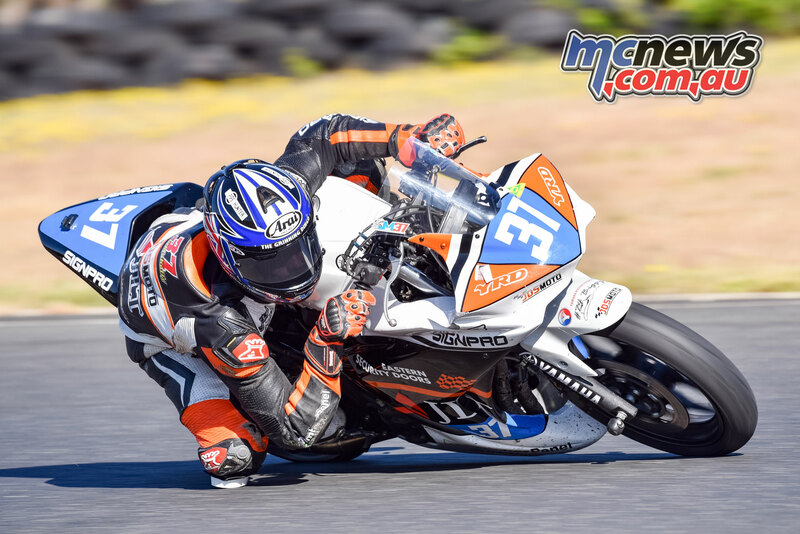 As with last year, Nathan Jones was a dominant force in the Superbike class, leading off the line and gapping the field in all bar race one, where Dean Archbold took the chocolates and Steve Tozer who missed the third round, returned for round four to take a brilliant second place. 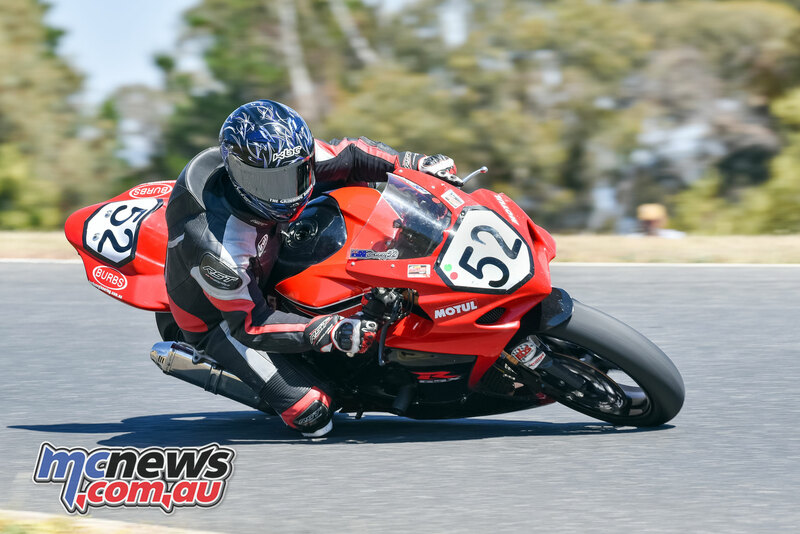 Everyone who has hung around Victorian race tracks knows Steve, as he has been competing at the pointy end of Victorian State road racing for as long as most can remember. He’s in his (Let’s call it) late 40s (just to be polite), so it was fantastic to see him take a well earned podium and end the meeting with second place overall and complete the series in fifth overall. Tyson Jones again was bridesmaid to his brother, but this time around, Tyson was giving his new bike its first outing. Due to him being in a secure second place and with only disaster for his brother being able to alter the championship winner, it was a good opportunity to get started on the new bike set up in readiness for the 2018 season. 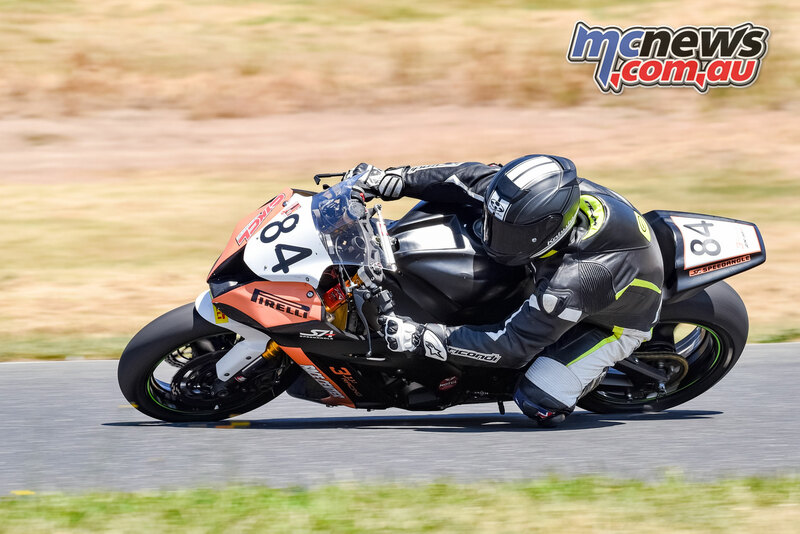 Tyson was making small changes to get the bike comfortable for him and ended the day about four tenths of a second off where he will need to be next year in order to be in the hunt to end his brother Nathan’s championship winning streak. Dean Oughtred continued to be up the front fighting hard for podium spots and ended both the weekend and the series with a brilliant third place. 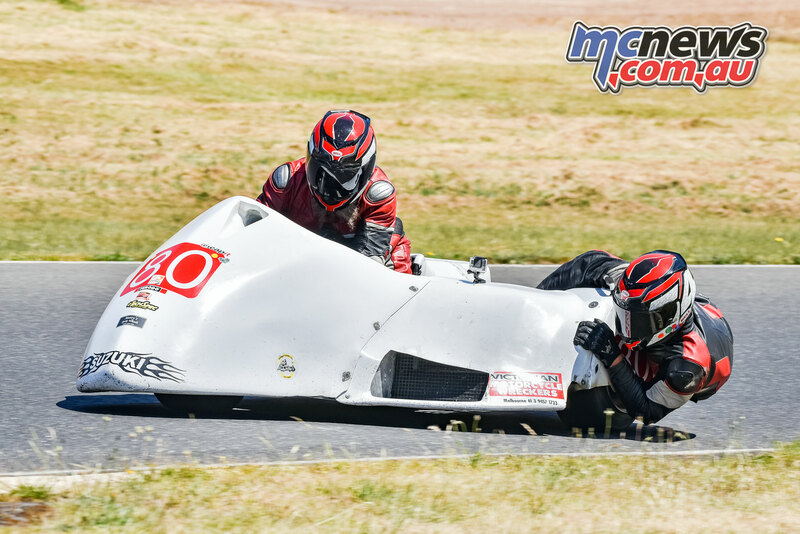 Dean is now also mentoring his son Reece, so it was a great effort to see him not only doing double duties as pit crew for Reece, but also leading by example and showing Reece his Dad still has what it takes to be up the front. 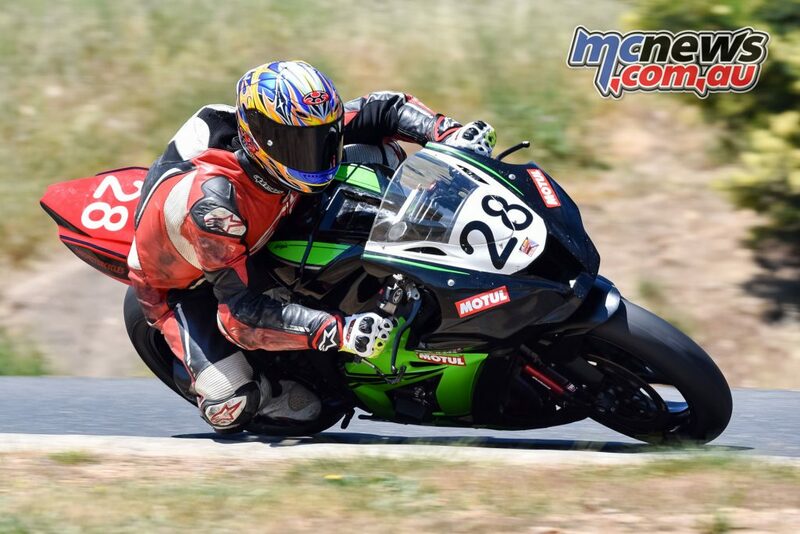 Travis Baas had another great meeting on his new 2017 ZX-10R Kawasaki and took home the Victorian B grade Superbike Championship by over 30 points, to second placed Nathan McKenzie, with Jake Drew bringing home third for the year. Andrew Ord was conspicuous by his absence at the pointy end. He missed the first round, had less than his normal result at round two and then rolled out a brand new and untested bike for round four. So next year I think we will see Ordy back up the pointy end. He made comment to me that after hopping back on his old bike in practice, he couldn’t understand how he rode the thing so fast. 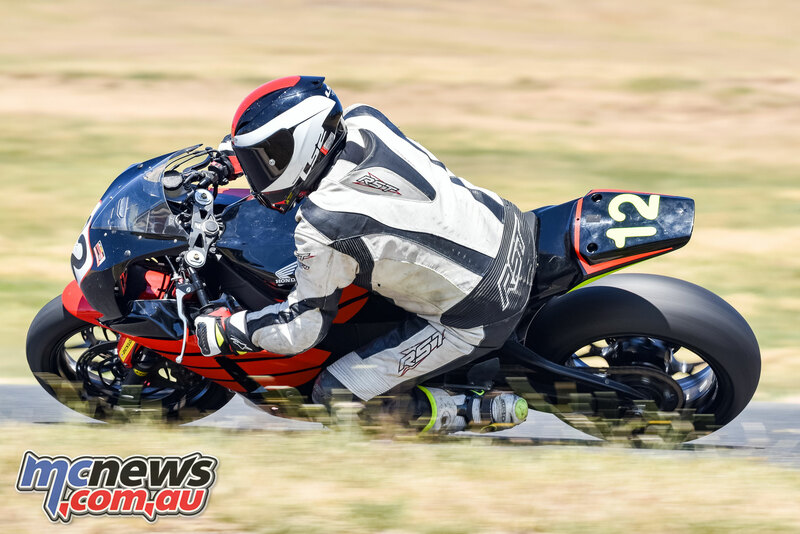 He might be a dark horse with his new Suzuki GSX-R1000 for 2018. Donny Owen took the honours in the C Grade Superbike Championship, with relative newcomer Trent (Does my bum look big in this) Binaisse only missing out by five points. Trent had taken a break towards the end of last season and had scrimped and saved to upgrade the suspension on his bike in order to have a proper crack at winning the title. 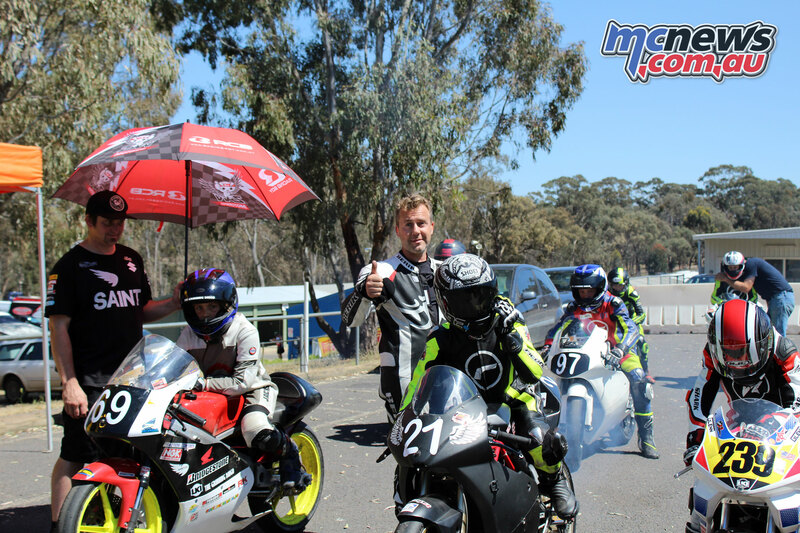 So while it was still a great effort and result to secure third place in C Grade and seventh place overall against the big boys, the taste of that Victorian C Grade Superbike Championship must have almost been swirling across his taste buds at the start of the weekend. The Road Race Committee will most likely be looking very closely at upgrading Trent to B Grade for season 2018, which means he will have to step it up a run in order to be competing with the likes of Baas, McKenzie and Drew next year. 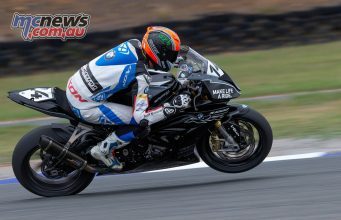 Ryan Taylor secured the 600 Supersport title after winning the first race on the Saturday and didn’t see the need to risk a crash or mechanical failure by riding the final two races on Sunday. Shane Maggs, who was vying for second place in the championship with Adrian Forde, lost compression on his Suzuki and despite taking the bike back on Friday night to try and fix the issue, upon return to the track Saturday his bike was still down on power, and failed to compete in the Sunday races. This left the door open for Adrian to take both race wins on Sunday and secure himself second place in the championship for this year. It was pleasing to see Adrian gain the result. He is another rider that doesn’t have a huge race budget, team or major sponsors behind him and gets his results by riding the wheels off his bike every time he throws a leg over it. 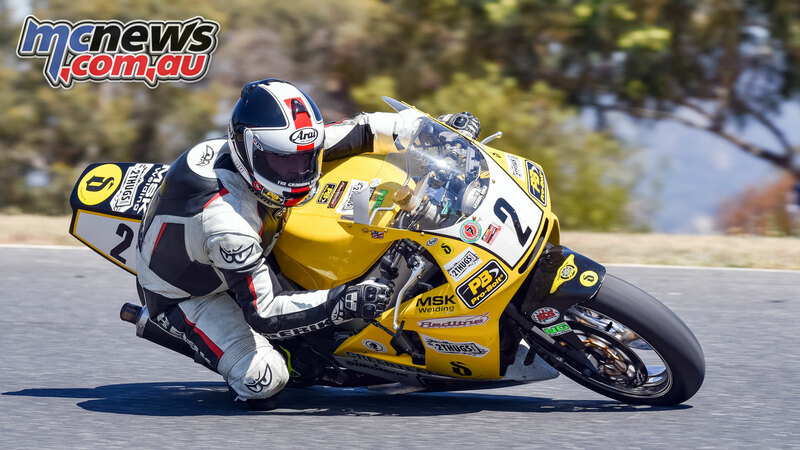 Adrian is also a C grader, so by default also took the C Grade Supersport title for 2017. 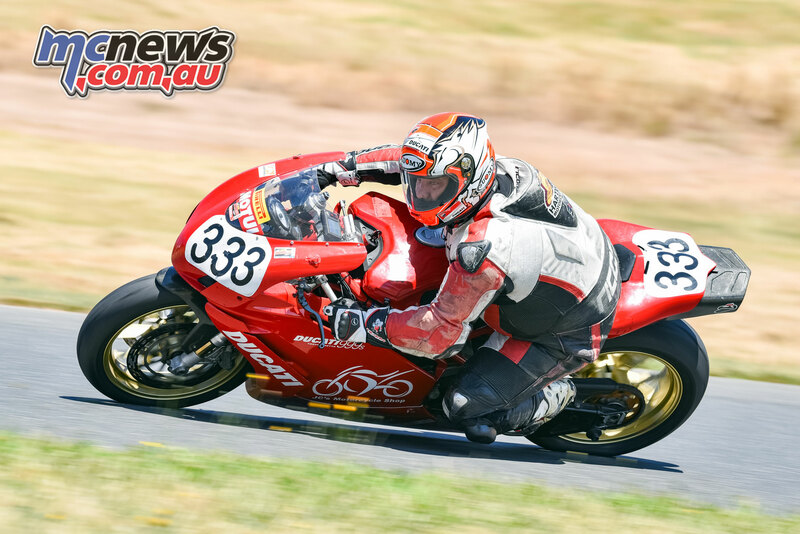 The B grade 600 Supersport title was won by Jason Spencer, with Maggs second and Brendan Wilson, who is currently racing his Harris XR69 in classic racing, taking third. This is despite not competing in the final round of the series due to parts for his R6 Yamaha not arriving. Brendan has big plans for 2018 and we look forward to seeing the likable Irish ex-pat up the pointy end of whatever class he ends up running in. 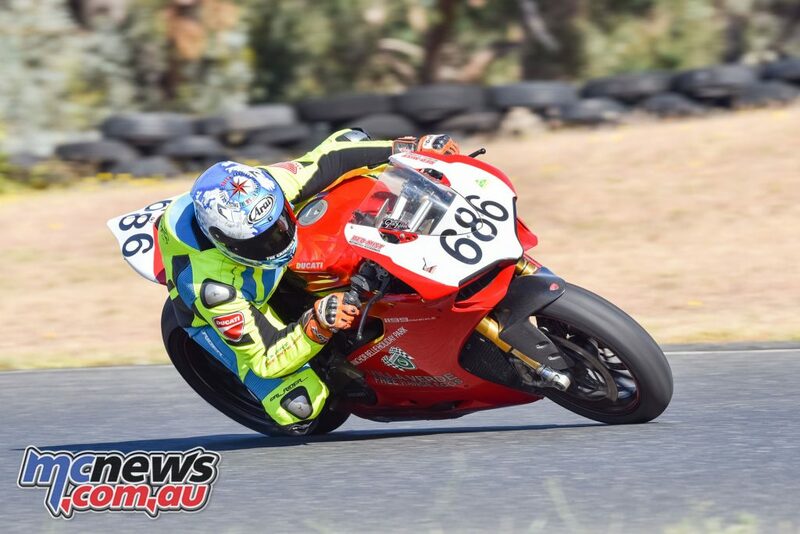 The C grade 600 Supersport Title as mentioned above was Adrian Forde’s, with John Quinn second and Ryan Harris third. 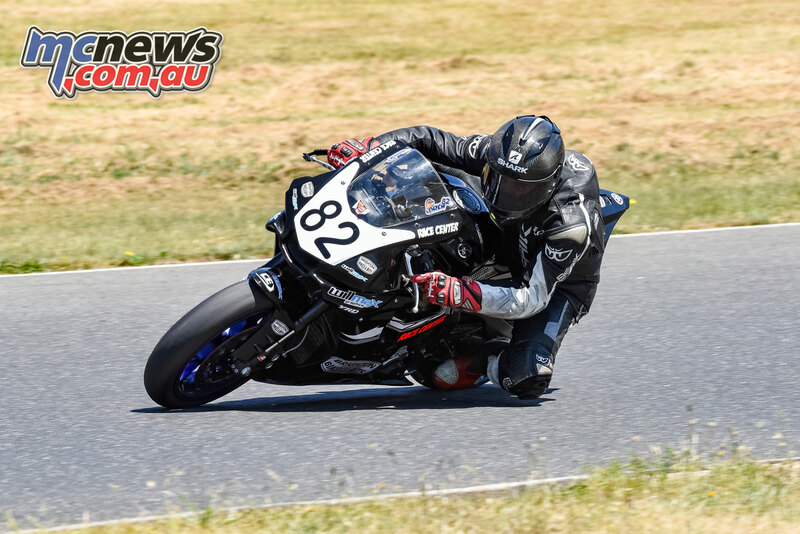 Bryce Thompson took a win, a second and a third place this weekend in the C grade, however having missed the first three rounds, it meant he finished well down the overall placings. Hopefully we will see Bryce make it to all rounds of next year’s VRRC and if his form continues, be in with a chance of taking the title. Bears Formula 1 was a close fought class this year, with three or four riders demonstrating the ability to take the title. However, all of them missed a round here or there, which proved devastatingly costly in the run for the title. It proved most costly for Fergus Gibson, who had strong results all season. 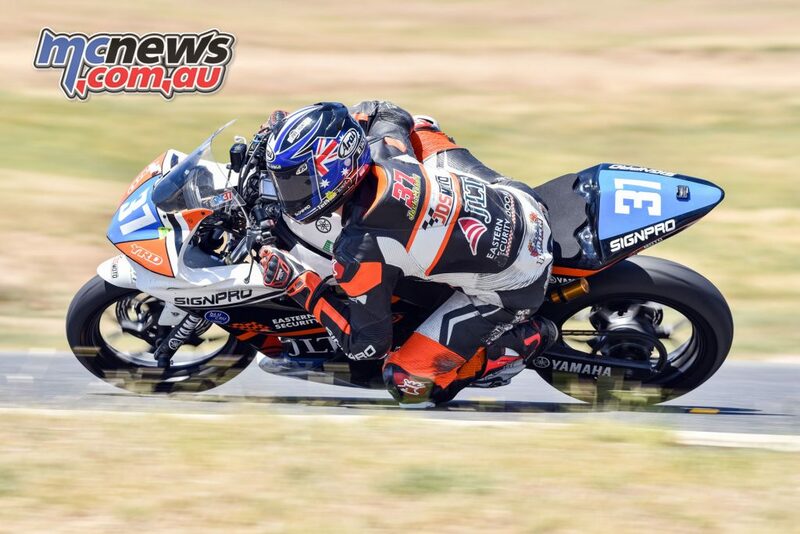 However, the championship was put out of his grasp by missing out on Round Three at Phillip Island. 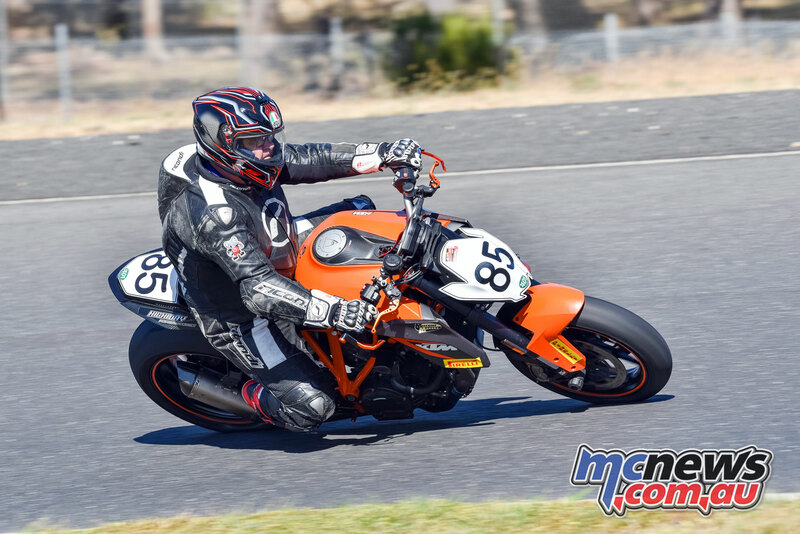 Rick Fitzsimmons took the title on his Ducati Panigale 1199R by 42 points to Fergus Gibson on his booming KTM Duke. 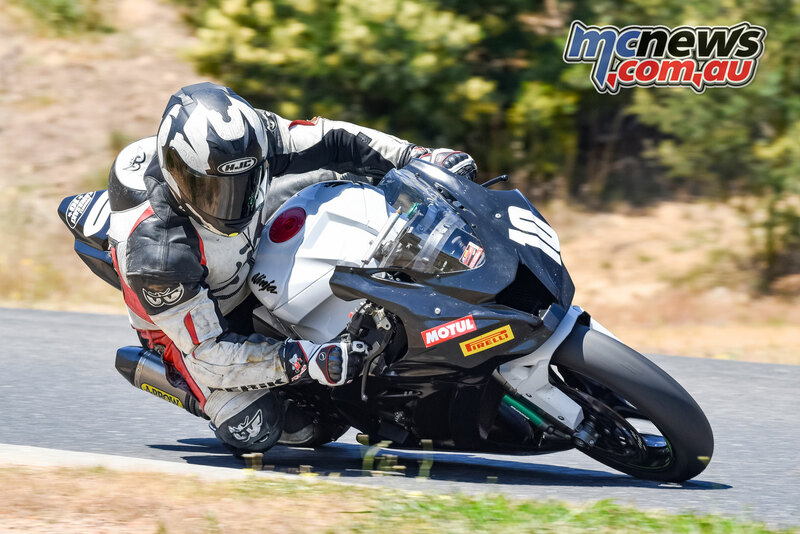 Anshumali Sharma on his BMW S 1000 RR took third place just 22 points behind Fergus. 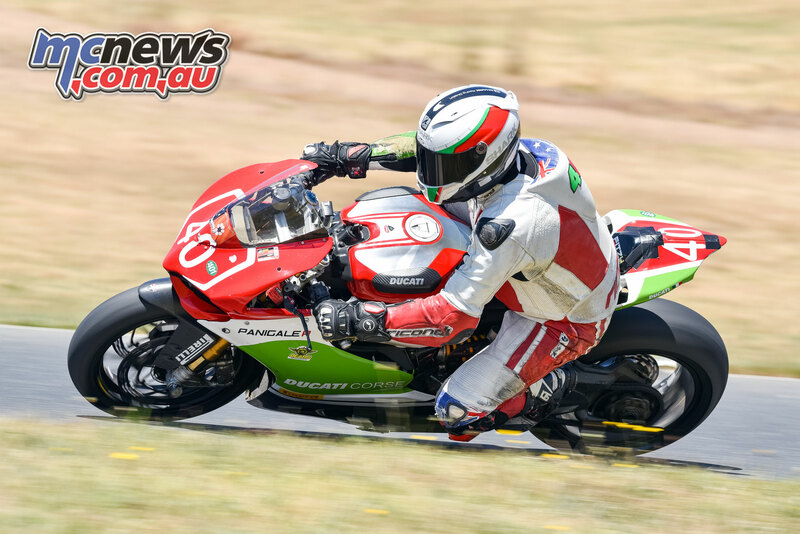 Again, Anshumali missed out on the Phillip Island round which could have seen him move up another place in the 2017 title. Anshumali has ridden well this year and took a race win in race two, showing he has the speed to challenge for race wins and the series next year, if he can manage to run a full season and remain consistent. 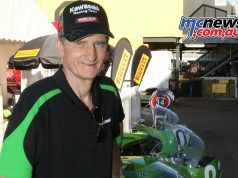 Tristan Culvenor also took back to back titles on his much loved 1993 Yamaha YZF750 Superbike in the Formula 1 Period 7 class. Not bad for a guy in his mid 40’s who only made a return to racing last year after a long hiatus. It’s also the last time we may see Tristan racing for a while, with some big work plans for next year (watch this space) meaning he will sit out at least the 2018 season to concentrate on his Redline Racing/Pro-Bolt Australia business. 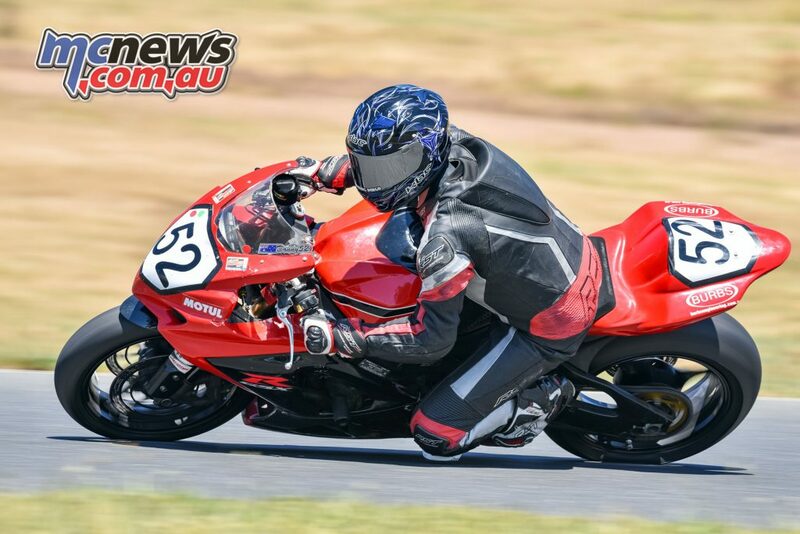 An official announcement will be made some time soon, with the news sure to please not only Tristan’s current customer base, but also all road racers who will benefit from his new business direction. Tristan had clean sweeped the first three rounds and only needed to cruise home in order to win the Championship. Although he took a tumble on Saturday, lowsiding at turn 12, the bike was repaired in time for him to get back out and take enough points to take the title. 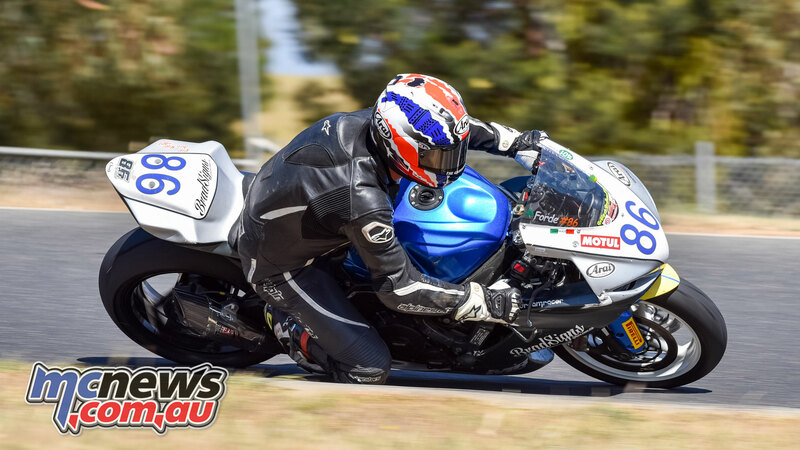 Doug Hall on his Suzuki TL1000R took out the second step on the podium for the year, only 20 points behind Tristan and dominated the final round taking three out of three race wins. 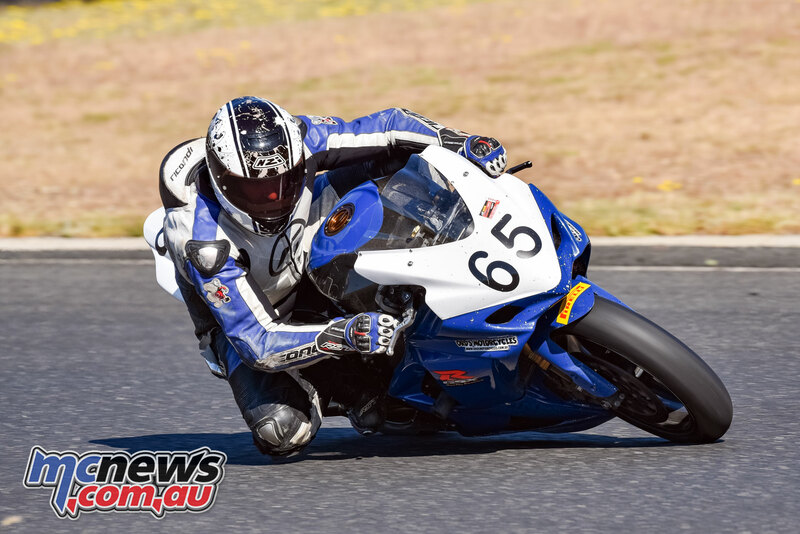 Paul Conway was 52 points back in third place on his R1 Yamaha. Rick Johnson took out the title in the Period 6 Formula 1 class on his Pablos tyres Suzuki GSXR1100. Rick didn’t attend the final round, with him already having wrapped up the title with perfect scores in the first two rounds of the year. Pre-Modern Formula 1 winner was Donny Owen by 30 points over Jason Spencer, with Jeffrey Hill another 12 points back in third place. 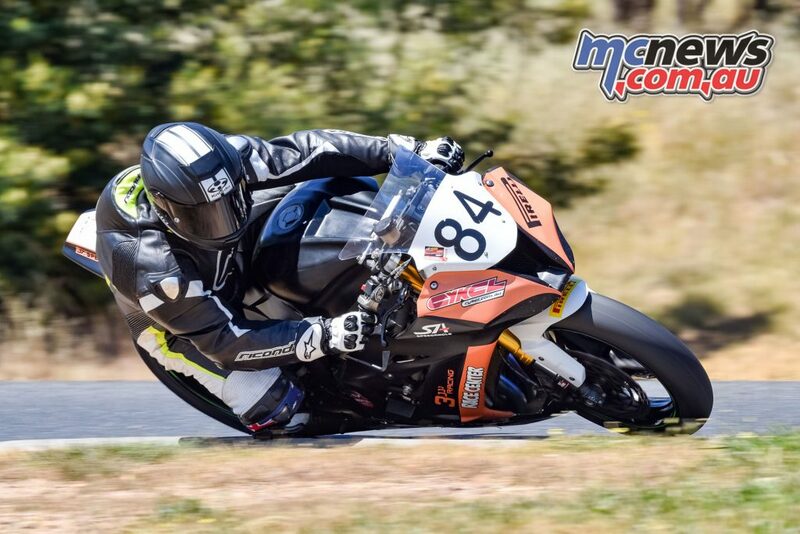 Jason Spencer deserves a mention and some credit for not only travelling from Tasmania to compete in the Victorian Road Racing Championships, but also for doing it on a Honda CBR600. 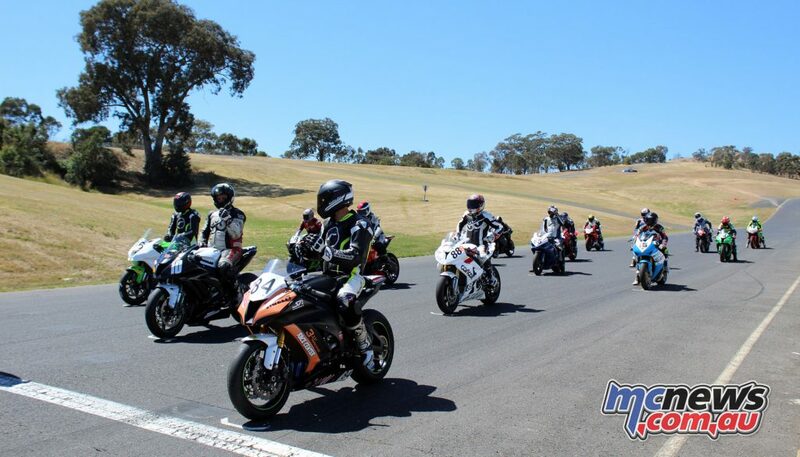 All the other bikes in the class being 1000cc superbikes of years past. 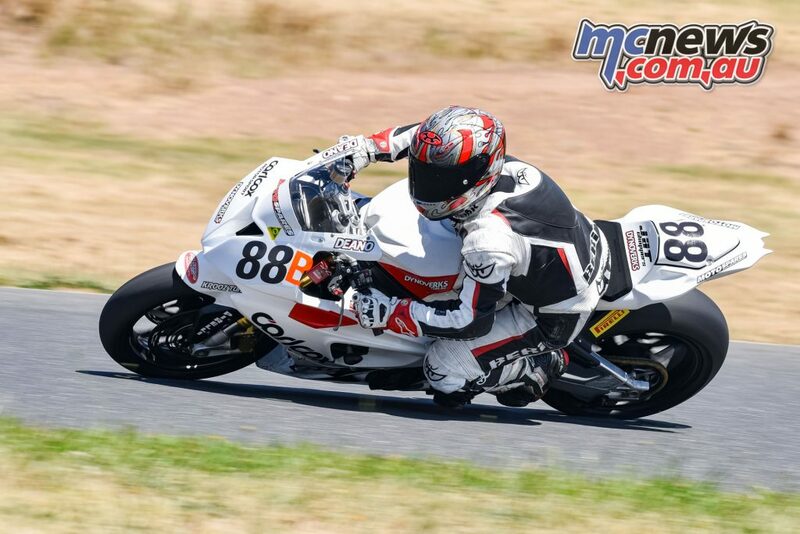 As with the previous round at Phillip Island, Jason took three second place finishes behind Donny Owen. Not bad considering his 400cc capacity disadvantage. 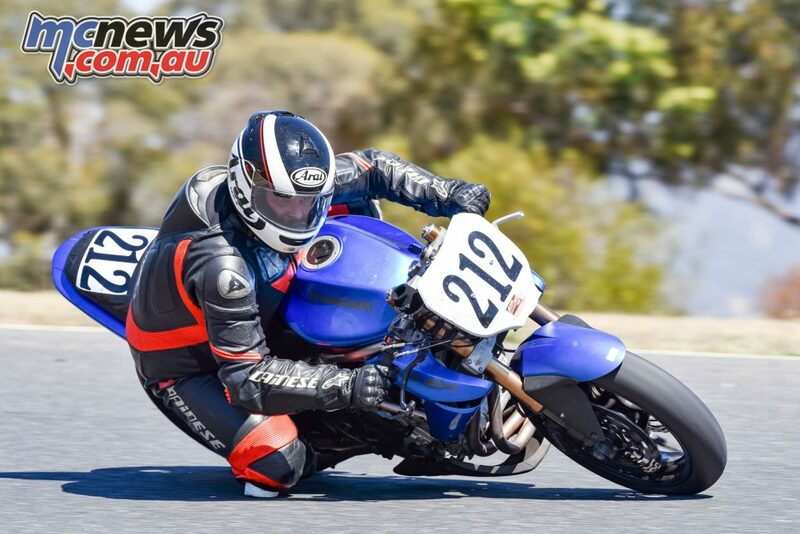 Jason has stepped up this year and is riding very well on his venerable old Honda. 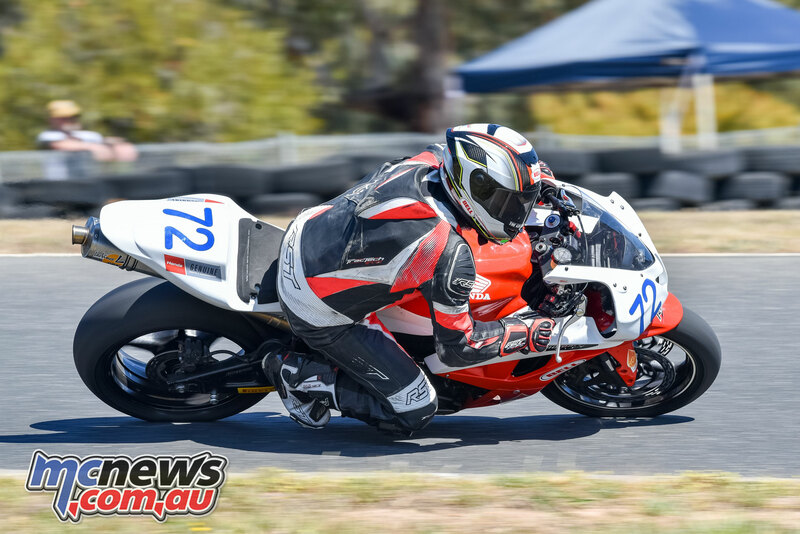 Rick Fitzsimmons took another title in the Thunderbikes class, with Jason Porter 20 points further back. 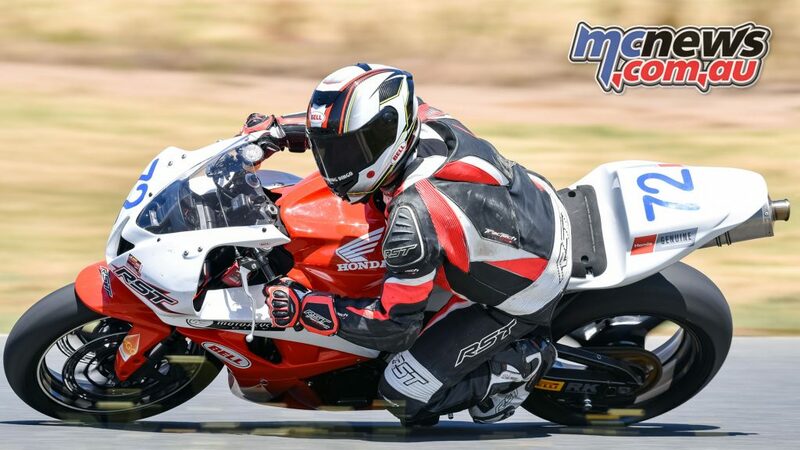 Tracey Davies, the only female in the class, took third place on her Ducati Panigale 1199. Tracey had a weekend of highs, with two second place finishes and a win in the final race of the day. The only blot on her copybook, was the side panels of her fairing exploding off the bike at the end of the back straight, meaning the final races were run without the bodywork attached. 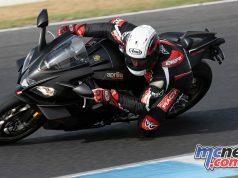 Thankfully, the way the Panigale is designed, the side panels are not part of the bellypan catch tank, so the bike remained eligible to race according to the scrutineers. 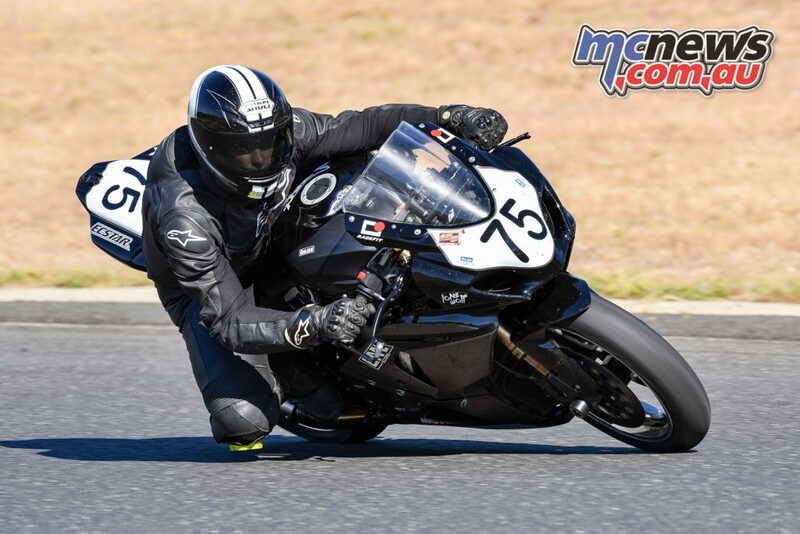 Anthony Stephens was dominant on his Kawasaki ER6N in the Twinsprints races, not only taking all three race wins, but also breaking the six-year-old Twinsprints lap record in the process, which was previously held by the Gavin Cosway built Kawasaki ER6 and ridden by Riko Partoosh. However, due to him not racing in the first three rounds, he finished the year third in the championship. Not bad considering he only raced the one round. His ER6 was certainly on song all weekend and the work put into setting it up has obviously paid off. 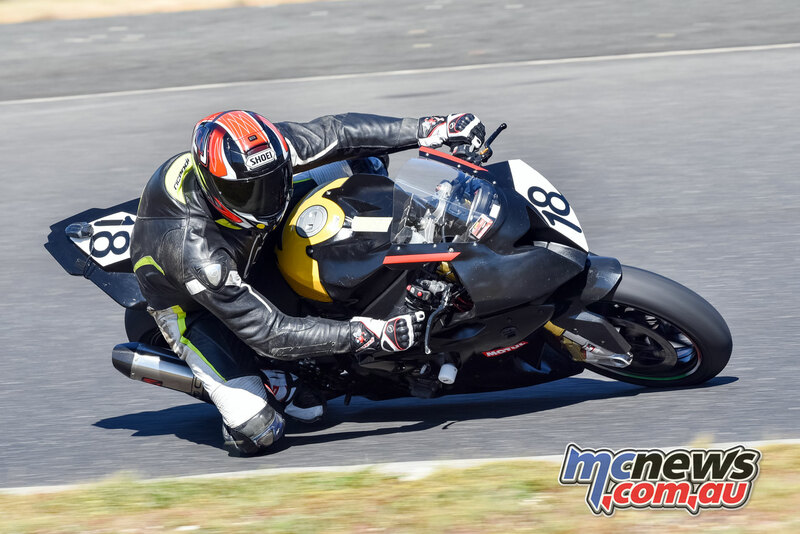 Anthony had previously raced a Suzuki SV660 and made comment that the ER6 not only had more motor, but also handled much better than his SV had. 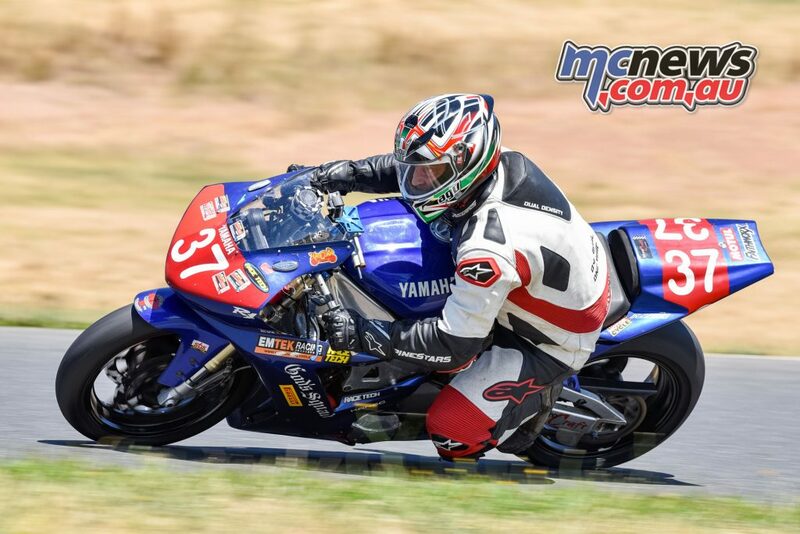 Jack Mahaffy on his Yamaha R3 took the title even though he only raced at two meetings. 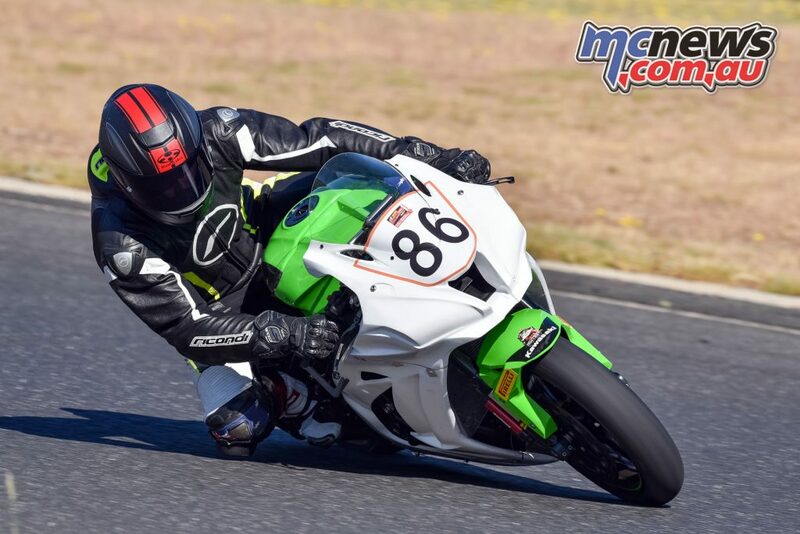 Jack was fast all weekend and his lap times were on par with Anthony on the larger capacity 650cc Kawasaki. 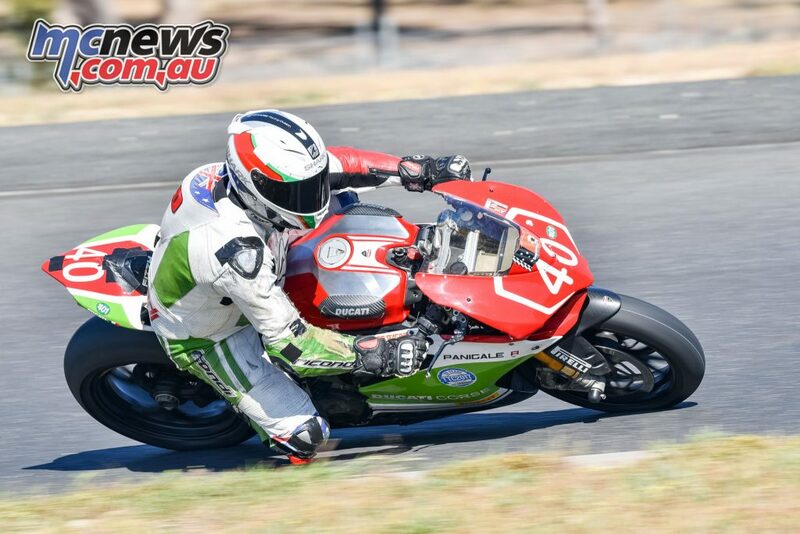 The pure grunt off the start line was the determining factor, with the larger bike gapping Jack when the lights went out, while Jack was unable to reel in that gap once he had the little R3 wound up to full speed. But Jack is great to watch on the JDS Moto Yamaha R3. His corner speed is frighteningly quick. Linden Roth although not racing the final round, took out third place in the Twinsprints class. 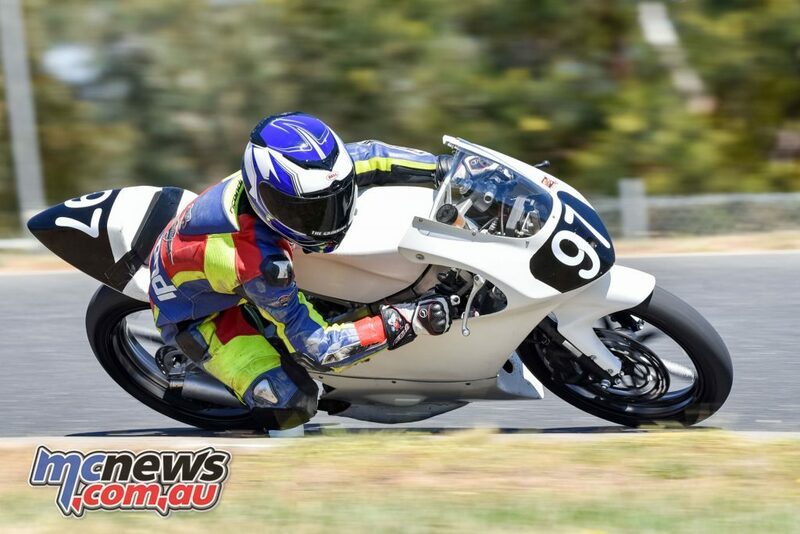 Jack also took out the 400 Production Title on his little Yamaha comprehensively, 80 points in front of next best Ryan Taylor. 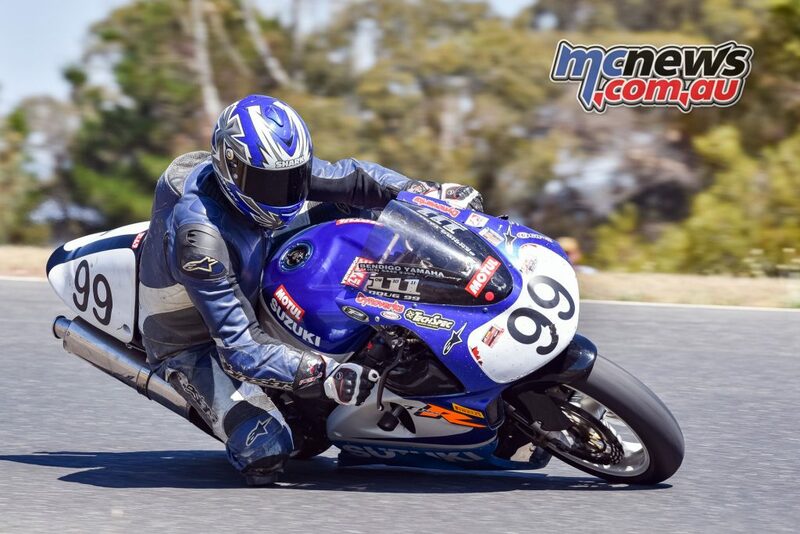 Although Ryan didn’t compete in the final round on his R3 Yamaha, being that Jack’s points lead was unassailable. In the GP Juniors, Tommy Edwards and Benny Baker finished the year equal on points. 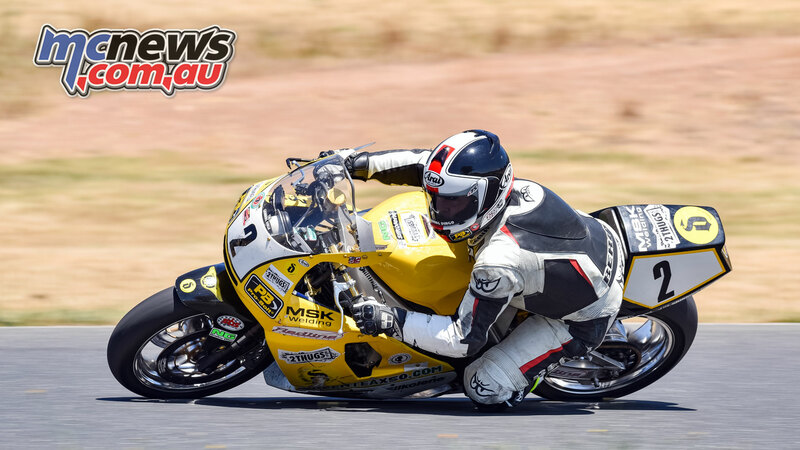 However the title went to Tommy on countback, with him taking a clean sweep of the final round with three dominant races wins in the 160cc class, with Baker second and John Lytras third. 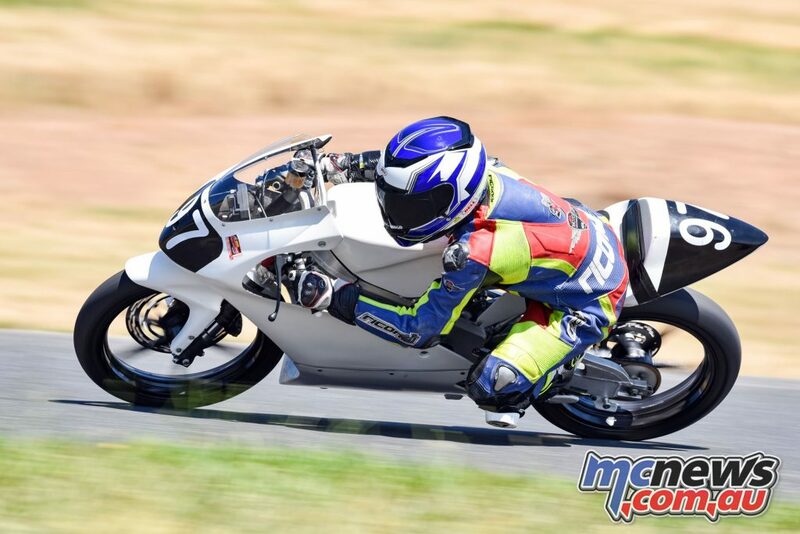 In the 70cc class, Josh Hall took the title with Harrison Voight second and Josh Kane third. 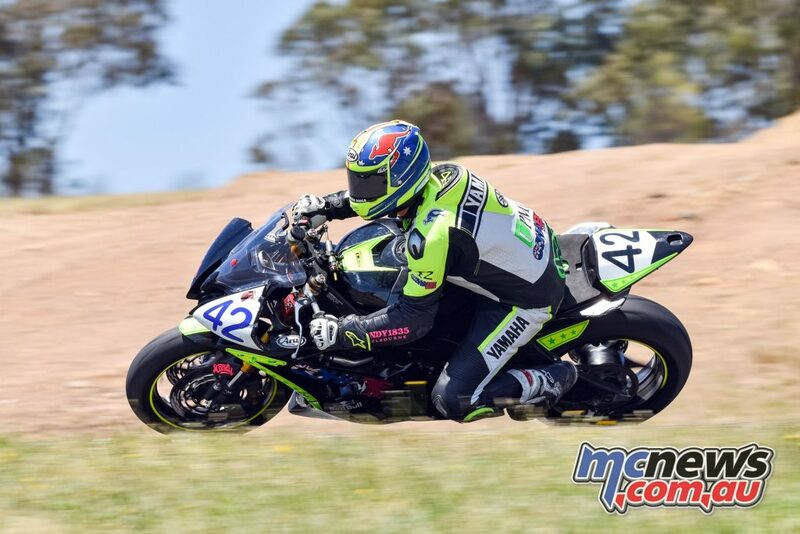 Luke Power had a perfect score for the final round in the 85cc class, taking three race wins and was also crowned Victorian Champion, with Reece Oughtred taking second in the title for the year and managing to come home with three third places for the weekend. 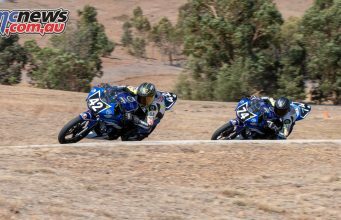 Travis Hall was sitting in first place before the final round, however he was not at the last round, which allowed both Luke and Reece to overtake him in the title chase and he ended the year in third. It was great to see the pairing of Ron Marten and Damien Edis take the final race win of the season in the sidecar class. 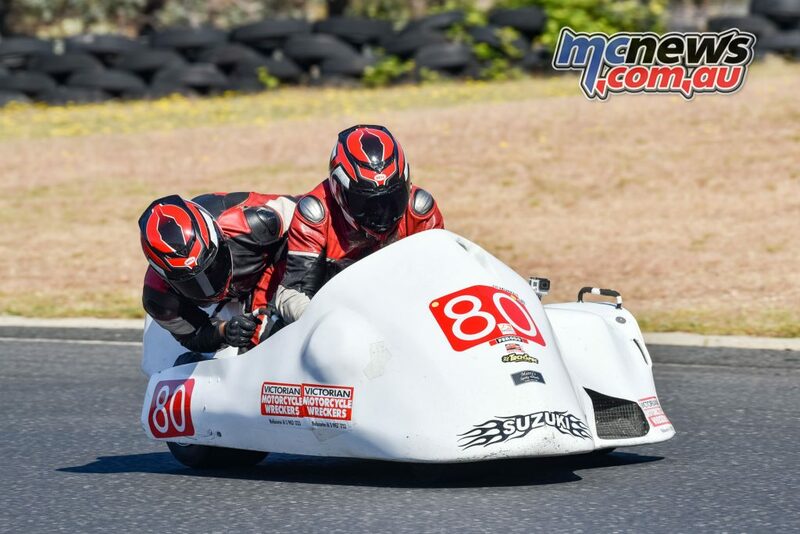 Ron and Damien are racing a Formula 2 600cc Suzuki outfit, so to see them take it up to the 1000cc bikes was fantastic. Ron and Damien also took the Victorian Formula 2 title for 2017. However, overall it was very disappointing to see a total of only 5 outfits front the grid Saturday and due to a crash, only four front the grid on Sunday. 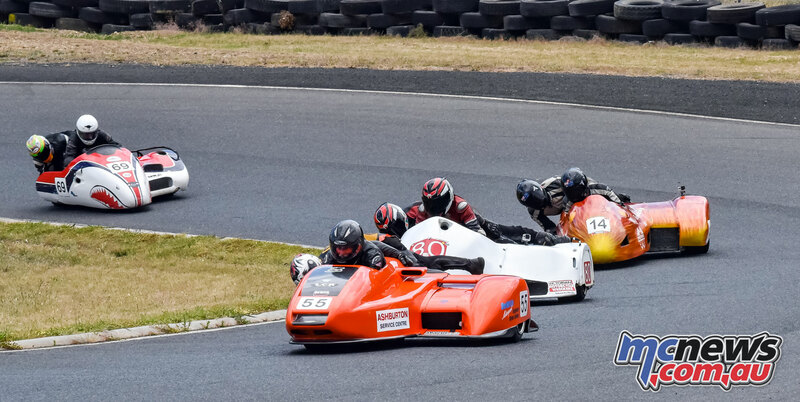 When the previous weekend saw over 15 modern outfits competing as an invitational class at the Southern Classic Historic meeting, which carries no state title with it, I was a little surprised that the sidecar racers didn’t see taking a state title as a presitgious enough accolade for their efforts. For a class that is always complaining about not being supported, to not front up to the state championships shows that perhaps they don’t need the support they crave.